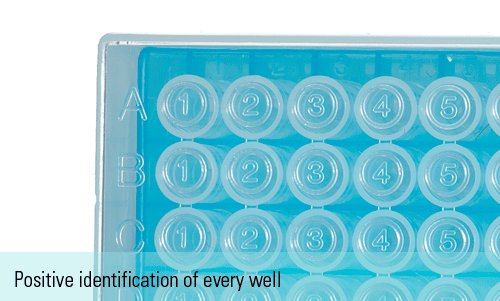 The MicroTube Rack System™ is the industry standard for deep-well microtiter plates with removable wells. Sample storage librariesRacks, with SBS footprint, feature 8×12 hole pattern on 9mm center. making compatible with robotic workstations & multichannel pipettors. Vented caps are ideal for most other applications as they will not pop-up during incubation or -80C storage.